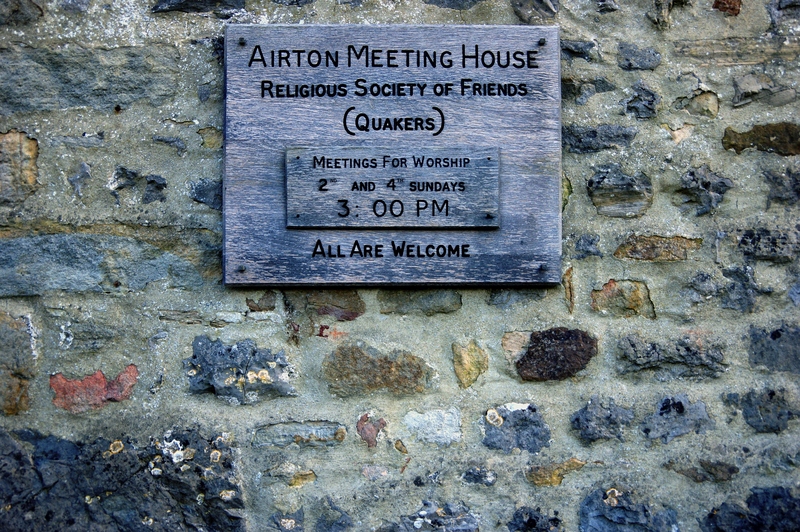 Airton Friends’ Meeting House and Barn is situated in the quiet village of Airton in central Malhamdale, 9 miles from Skipton and 6 miles from Settle. It is on major walking and cycling routes, including the Way of the Roses and the Pennine Way and well placed for visiting the major attractions in the Dales and Three Peaks areas. The overnight accommodation is well used by walkers, cyclists, climbers, family groups and attenders of courses and retreats. In addition there are light and airy rooms which can be used flexibly to suit a wide range of activities such as craft events, art and photographic exhibitions, Open Studio events, concerts and performances, lunches, meetings, workshops, elections and coffee mornings. There is secure cycle storage for up to 5 adult bicycles. Basic food supplies are available from the Friend in Residence and for something special, a food order can be pre-booked with the famous Town End Farm Shop in the village. We are open all year and you can pop into the stunning Meeting House at any time. We hold regular Quaker Meetings for Worship on the second and fourth Sundays of each month at 3pm, whatever the weather. All are welcome to these and to the refreshments in the Barn afterwards – no prior knowledge necessary! The Meeting House and Barn are also venues for performances, talks and local social activities. Read about forthcoming events on our What’s on page. See more information on our accommodation here. You can get in touch with us here or by calling the Friend in Residence on 01729 830263.